A PASSION FOR COOKING FOR OVER 15 YEARS. EVERY DAY. A Restaurant, but a little different. Honestly, a classic restaurant with a typical, somewhat passive consumption of a 3 course menu, does not appeal to us. Hence, De Voorspoed is a quirky venue that is as much a restaurant as it is a cosy bar. 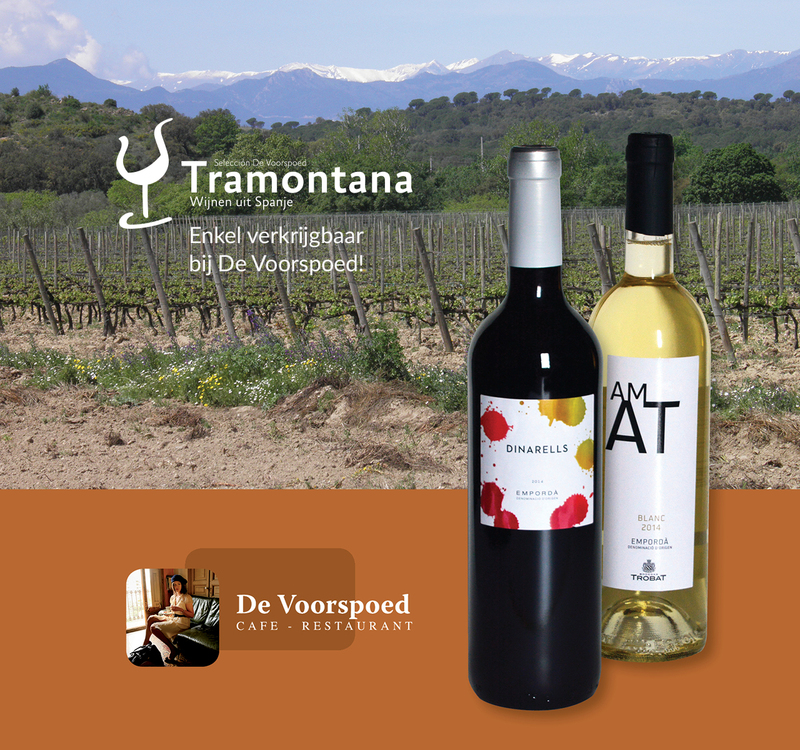 As of November 2015 we will also offer our selected wines from Spain in our separate Tramontana Wine Shop. Our complete offer can be found in our restaurant. Have you heard of our Early Dining formula? If you book a table between 17:30 and 18:30 and are willing to depart prior to 19:45 we in return, offer you a complimentary glass of cava and a Tapa from the chef.